Dr. Robert Metzger, a career nephrologist and transplant physician, helped found the AdventHealth, formerly Florida Hospital, transplant program in 1973. 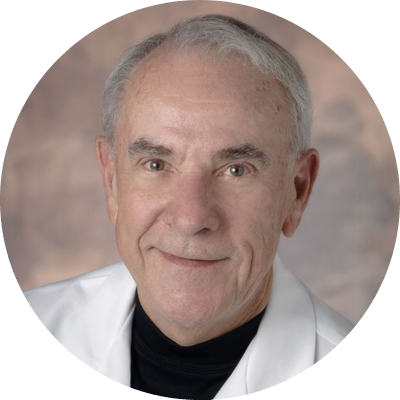 He is board certified in internal medicine and nephrology and a member of the American Society of Transplantation Physicians and the Transplantation Society, he is former president of the Organ Procurement and Transplantation Network/United Network for Organ Sharing Board of Directors. Dr. Metzger received his medical degree from Creighton University in Omaha, Nebraska. As well as overseeing all elements of patient care, Dr. Metzger supervises research and medical aspects throughout the program.